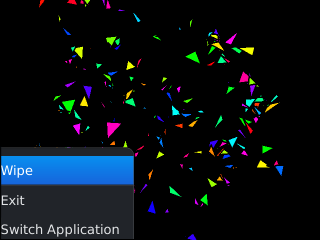 With Mobile Processingg one can write J2ME apps that work in Blackberry phones. Sometime ago, I compiled a simple code that I found on the web that without any changes works perfectly in my Blackberry Bold 9900. The compiled app utilises the touchscreen on my phone as a method for drawing images. My grandchild loves to draw using this app, but his artworks were not being saved or shared until recently, when I added an app to my Blackberry that allows me to save the drawings, and to share them. 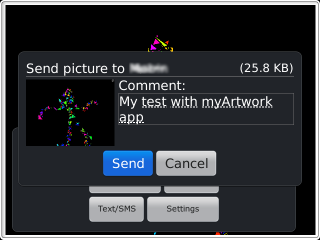 Write code for a drawing app named myArtwork for Blackberry smartphones with touchscreen, such as Blackberry Bold 9900, and add Social Networking sharing capability. 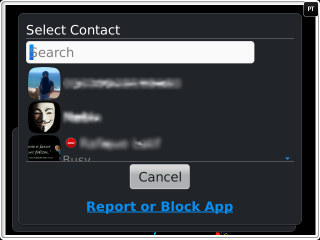 The resulting app must have basic look and feel of a professional Blackberry app. Choose CLDC version 1.1 and MIDP version 2.0. Click Ok.
Save the project with name Hello with dropdown main menu File -> Save as. NOTE: All projects are saved in your PC’s My documents -> MobileProcessing. We will choose SansSerif.bold-24.mvlw and include A-Z and a-z characters. If we do not do this procedure our emulator will throw Java exception error. The emulator does not how to display fonts. The files that Blackberry needs are Hello.jad and Hello.jar. Hello.java contains Java source code. 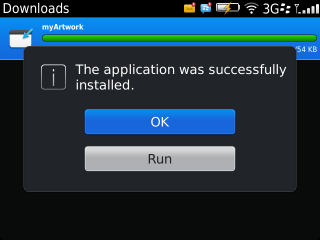 We will not install these files in our Blackberry, and proceed with installing our drawing app “myArtwork“. You will now save the project with the name myArtwork with File->Save As in the main dropdown menu. Before proceeding we will create an Icon for our App. It needs to be 62×62 pixels. You can download here an icon we have designed, together with pde file of above code. The file is hosted by BitbucketBitbucket that offers unlimited public and private repositories and it is free for small teams. In your PC’s My Documents -> MobileProcessing ->myArtwork folder create a data folder and paste this icon image file icon.png into it. Note: If you care to check myArtwork folder you will also see a new folder proguard. ProGuard is included in Mobile Processing to make the apps smaller and more efficient jar files. We will not use the jar file in this folder. We are now ready to copy myArtwrok.jad and myArtwork.jar into the Blackberry. Both files will be now in your Blackberry phone’s documents folder. 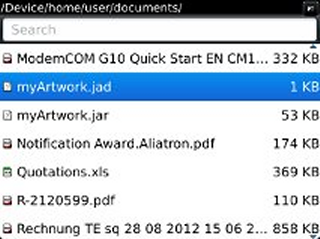 NOTE: If you are too lazy to write code you can install the jad file found here into your Blackberry as shown. Note the jad and jar files are hosted at Bitbucket, a free and unlimited public and private repositories hosting site. The jad file will download from Bitbucket the required jar file (provided your Blackberry is connected to Internet) and install it following same procedures as shown below. We are now ready to test our app myArtwork for Blackberry. If you use Wipe option the screen will be cleared. This is all that this code does. But, we will not stop here, and we will add to our app saving and sharing capabilities. 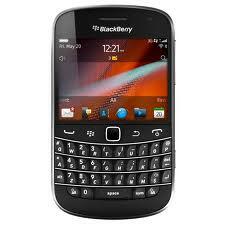 Blackberry App World offers a free software that does exactly what we want and integrates into other apps. 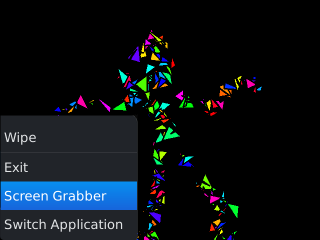 It is called Screen Grabber. It is free, no watermark , no ads, courtesy of JaredCo. 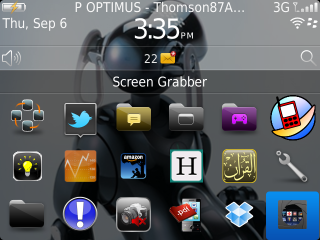 This is a totally flexible screen capture app that lets you share your Blackberry screenshots with anyone. It is simple and useful. 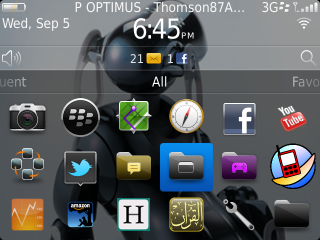 It has BBM, SMS, Email, Twitter and Facebook integration. 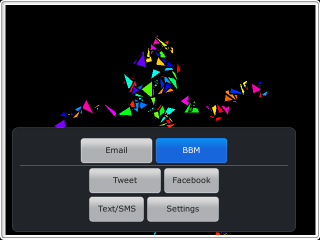 It also creates in your Blackberry’s Media/Pictures folder, a new folder called Screen_Grabs where the screenshots you have chosen to share will be saved. And you will return to the drawing you have just made. 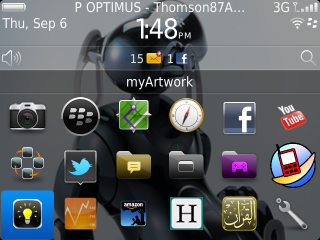 With Menu button in your Blackberry you can use Exit option to leave myArtwork app. You can check in your BBM whether the image has been sent. It will be there for the contact you have chosen to send to. I am a Blackberry fan. 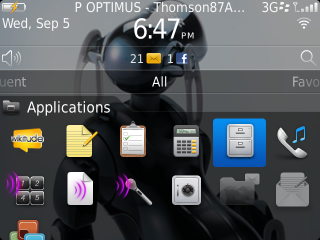 My phone is a workhorse I am using for all my business and other activities. I love the interconnection among apps, easy switching among apps, and many more features. The added most recent Social Network capabilities in apps is a plus for those that understand the value of such features. If you ask me whether I am ready to switch to iPhone or any other hype driven smartphones, I will readily answer with “no, thank you!”. My first app for Blackberry was written to control a 8051 microcontroller-based robot (I adapted from my original Nokia N95 app). I published my work here in this blog. I have enjoyed doing myArtwork app, and specially as it is made for my Blackberry Bold 9900. My grandchild loves myArtwork. He is an artist in making, but I am suspect! I hope Research in Motion (RIM) will continue to exist, and come out of its actual financial woes, and more developpers will write apps for Blackberry devices. A special thank you is due to Addy B for sharing drawing code for Motorola, written in Mobile Processing IDE. We have written a drawing app for Blackberry and shown that it works as expected, and that one can easily add to it sharing for Social Network capabilities . Instead of Mobile Processing we could have written our app in Eclipse. It is not Rocket Science to write apps for Blackberry, surely! 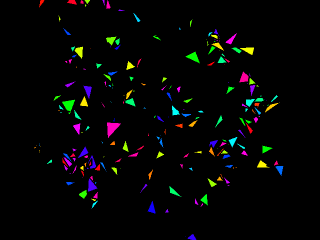 This entry was posted in Mobile Apps, Programming and tagged BlackBerry, Drawing App, Mobile Processing, myArtwork, Sharing, Social Network, Wireless Tool Kit. Bookmark the permalink.